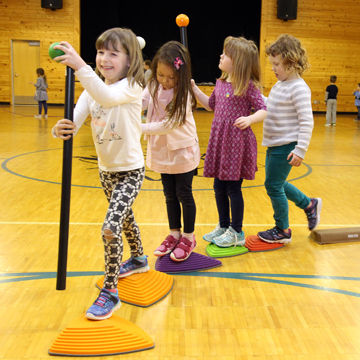 Physical education is offered daily in the beautiful "barn" at The Children's House to foster a love for physical activity in all of our students. Maria Montessori said, "play is the work of the child." While we play in the gym each day, our children develop healthy habits that last a lifetime. The Art program begins in Primary with the Kindergarten students. They are introduced to materials, tools, and techniques through a hands on approach that helps them begin building a basic understanding of art. 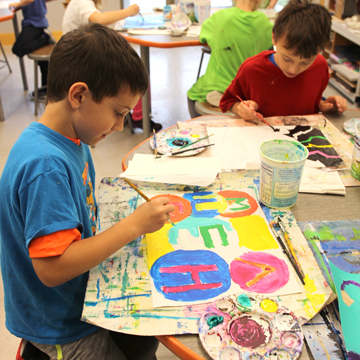 Open art is available to all lower and upper elementary students each week. During open art, students work on individual art projects that support their studies (research papers) which they present to their class. Elementary students also have weekly art classes where they continue learning more advanced techniques and skills; along with further exploration into artists, styles, movements, and history. Art education and learning continues through the Junior High program where more advanced techniques are introduced and individual student projects become more complex and elaborate. The Children’s House Music Program is full of fun and engaging activities that encourage students to sing, dance, and play! Music class is offered once per week to students in Kindergarten through 8th. And, starting in Kindergarten, students learn to play the ukulele. 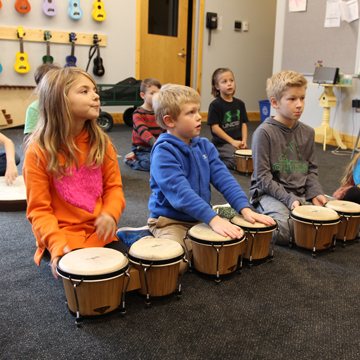 Because music is supported in each child’s classroom, students are able to choose music in some form, daily. The music program is further enhanced by field trips and monthly concerts. 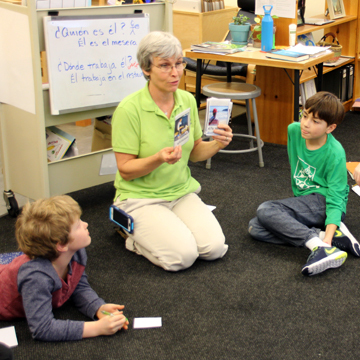 Spanish is offered twice weekly at the elementary level. The program creates language-lovers and a generous foundation for the Middle Years program, which meets four times a week. The seventh and eighth graders complete Spanish One equivalent to the public school program. 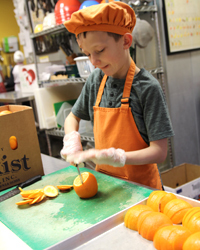 Our Della Terra program provides students with the opportunity to develop the knowledge and skills necessary to practice good nutrition and environmental stewardship in their everyday life. Della Terra is a practical outdoor laboratory where lessons in applied math, science, and horticulture are used to actively engage the student in learning and reinforce lessons from the classroom. All students have the opportunity to work in our campus gardens and/or greenhouse through the Della Terra program. 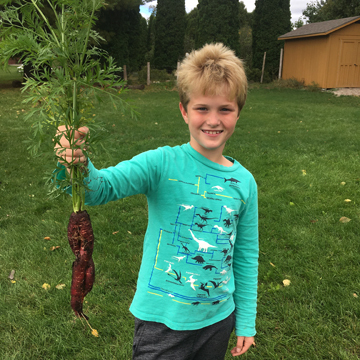 During Della Terra, students perform a variety of tasks including garden planning, seed starting and sowing, planting bulbs, transplanting, weeding, making and spreading compost and organic fertilizer, and harvesting crops. Kitchen Classroom provides students with experiences that promote the acquisition of general food preparation skills, familiarity with a variety of whole foods, making healthy choices for their bodies and their environment as well as an understanding of the social and cultural component of preparing, serving, and sharing food. Students prepare, sample, and share food with the school community. Students learn safe food practices, nutrition, and cooking skills.